Garlic is a condiment with a pronounced flavour and many virtues. Garlic is best eaten from April through August, but can be stored for a long time in a cool and dry place. Garlic is a source of fibre and rich in vitamins A, C, B6, B9 and E. It is also a mine of trace elements which are important for cells (phosphorous, potassium, calcium, iron, zinc...). It is also supposed to prevent several ailments due to its natural " neutraceutical "properties Its richness in organosulfur compounds (alliin) provides therapeutic benefits for high blood pressure, cancer, high cholesterol levels, acne and diabetes. It also contributes to healthy hair, teeth and nails. 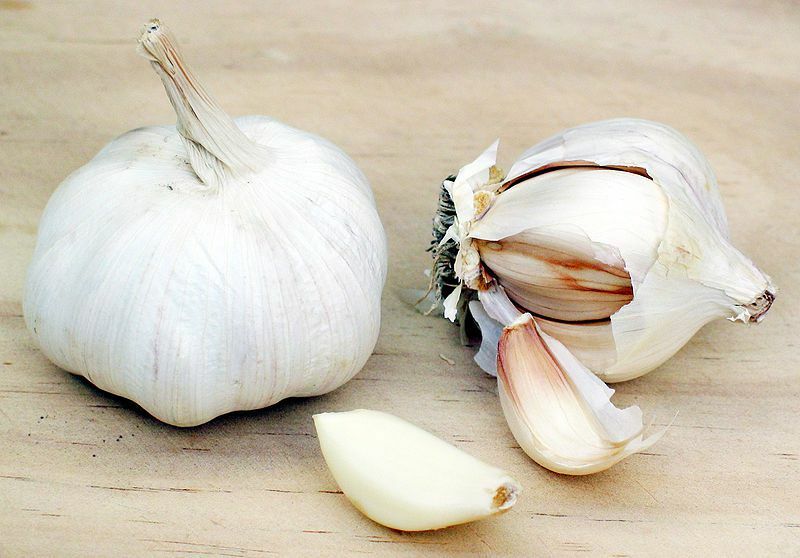 The allicin also contained in garlic is a natural antibiotic and antiviral that fights infections. Autumn varieties, harvested in the summer, include Messidor and Germidour. Spring varieties, harvested in July, are smaller but can be stored for a longer period of time: Printanor, Fructidor. Garlic is a condiment used to enhance the flavour of many foods or dishes. Choose garlic heads that are chubby, bulbous and quite heavy in your hand. Squeeze the bulb (cloves) gently to check their firmness and make sure that there are no small green sprouts. If there are sprouts, remove them to eliminate the bitterness.